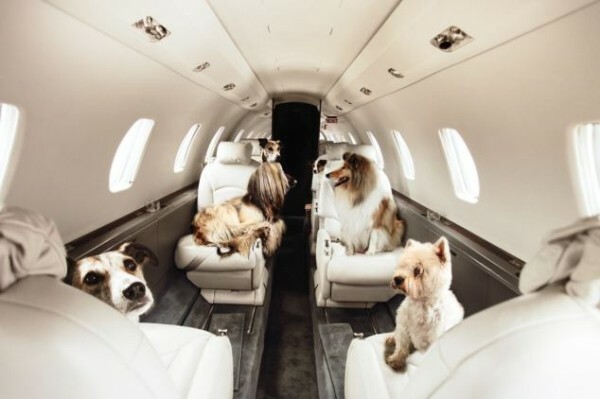 Private jet charters afford travelers the ability to make accommodations for a wide variety of pets and breeds of different animal types such as dogs, cats and birds. From teacups to large breeds, parrots to kittens; brokers can help you arrange pet transportation via private jets for your loved ones! Your pets are like members of the family, and it is extremely important that their safety and comfort is taken into consideration when using air travel transportation. Please remember that not all private jets allow pets aboard. Make sure to notify your broker ahead of booking your private jet charter that you have a need or desire to travel with your pets in the plane. They will find a pet-friendly airplane for your next vacation or move, so you’ll never have to worry again about leaving Mr. Fluffy, Spot, Handsome, Princess, or Wiggles at home!